L'Oreal Paris Magic Root Cover Up Gray Concealer Spray Dark Brown 2 oz. 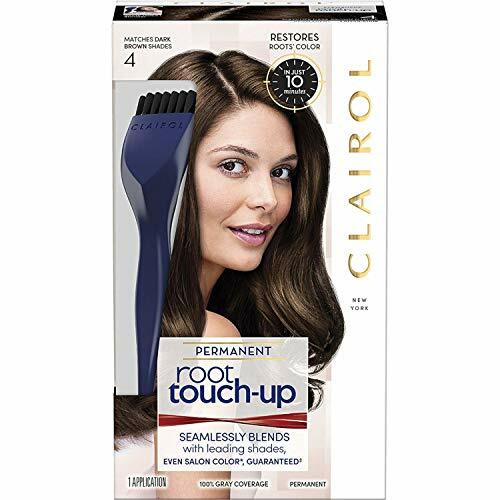 Need a quick root touch up to cover gray hair? Try Magic Root Cover Up. This temporary hair color spray is our quickest way to cover gray and works on any hair texture or type including synthetic hair. In just 3 seconds gray roots are concealed with our light-weight, quick dry formula leaving no smudging or sticky residue when dry. One application will last until your next shampoo, plus it s ammonia-free, peroxide-free, and contains no synthetic dyes. Magic Root Cover Up is available in a palette of eight shades which can be used on black hair, brown hair, blonde hair and even red hair. Packaging may vary. What you receive may not be what is reflected on site. Directions: shake well. Hold can about 6 inches from hair. Spray color onto new growth and partly through the length of the hair to blend in the color. Comb and let dry for 1 minute. Warning: Flammable. Avoid fire, flame and heat during application and until hair is fully dry. Avoid spraying in eyes. Contents under pressure. Do not puncture or incinerate. Do not store at temperatures above 120 f. Keep out of reach of children. Use only as directed. Intentional misuse by deliberately concentrating and inhaling contents can be harmful or fatal. 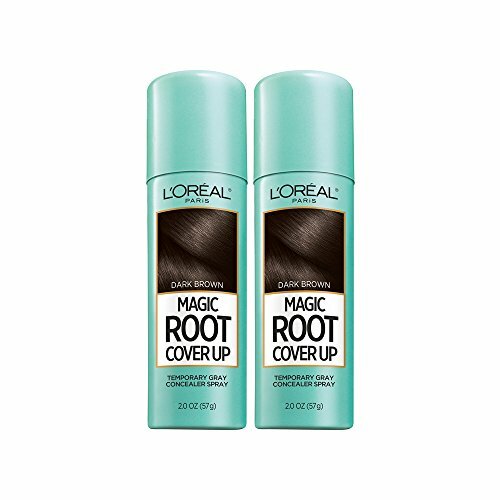 TEMPORARY ROOT COVER SPRAY: Our Magic Root Cover Up conceals grays in seconds for flawless roots. Get seamless coverage with our lightweight formula that leaves no smudging or sticky residue when dry, & that's ammonia and peroxide free. COLORED HAIR SPRAY FOR GRAY ROOTS: Perfect for in-between color or salon visits, Magic Root quickly gives coverage to grey roots within seconds. Lasts until your next shampoo. 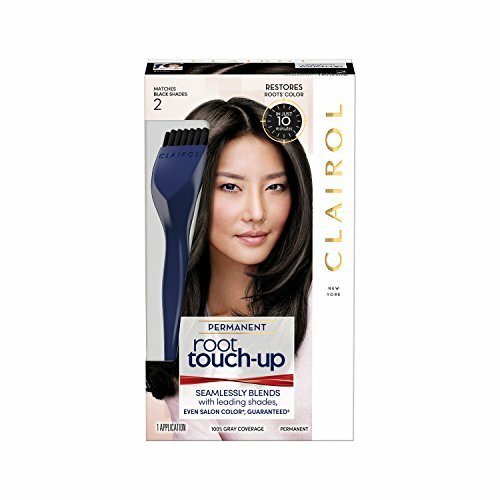 ROOT TOUCH UP SOLUTIONS: Just a few pesky, scattered grays? Try our Precision Pen. For more gray coverage, use Magic Root Cover Up, the #1 root concealer in the world. 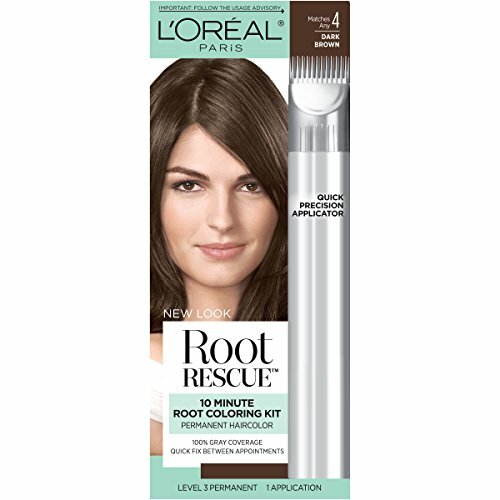 For longer lasting gray coverage, use Root Rescue 10-minute permanent root kit. MATCH YOUR L'OREAL PARIS HAIR COLOR: Magic Root Cover Up shades are formulated to match your L'Or al Excellence or Superior Preference shade, for an easy, quick fix between colorings. LONG LASTING HAIR COLOR: Get beautiful color from L'Or al Paris hair color; permanent, semi-permanent, temporary hair color, & root cover up. Cover gray hair, highlight, go bold with bright color, or even try an ombre hair color. Permanent color that blends seamlessly. Lasts up to 3 weeks. Precision Brush for quick and easy application. Just 10 minutes to say goodbye to roots and grays. Need to look fabulous fast? 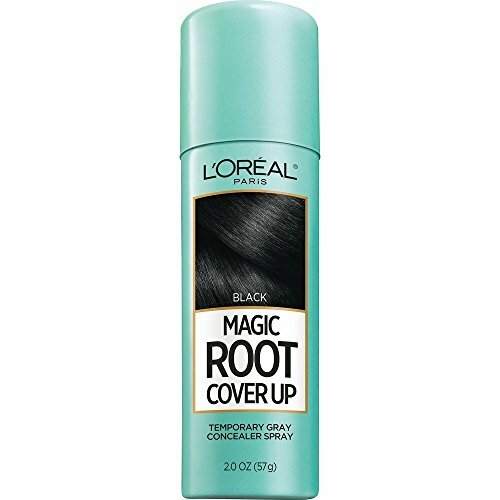 L Oreal Paris Root Cover Up is our quickest way to cover gray. In just 3 seconds gray roots are concealed with our light-weight, quick dry formula- leaving no smudging or sticky residue when dry. One application will last until your next shampoo, plus it s ammonia-free, peroxide-free, and contains no synthetic dyes. Packaging may vary, what you receive may not be what is reflected on site. Style Edit by Style Edit conceal your graysmedium/light brown 2 oz. 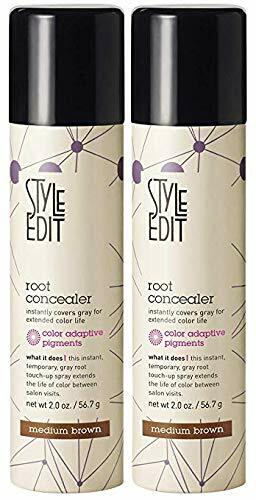 Root concealer instantly covers gray for extended color life works in seconds, dries in minutes, will not run washes out with shampoo. 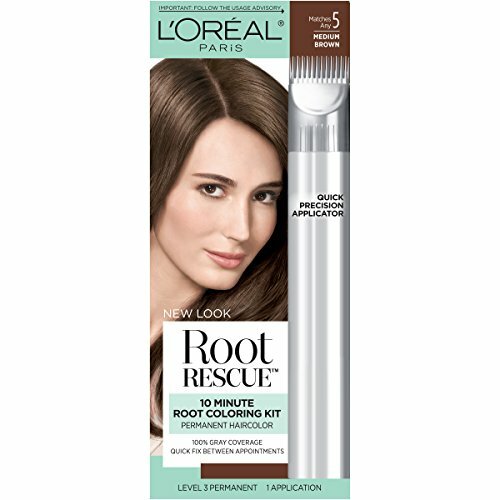 L'Oreal Paris Root Rescue Coloring KitDiscover a breakthrough in root touch-ups. Root rescue is a quick, precise and gentle way to cover roots in just 10 minutes. The low-ammonia formula covers 100% of grays and matches seamlessly with at-home and salon hair color. 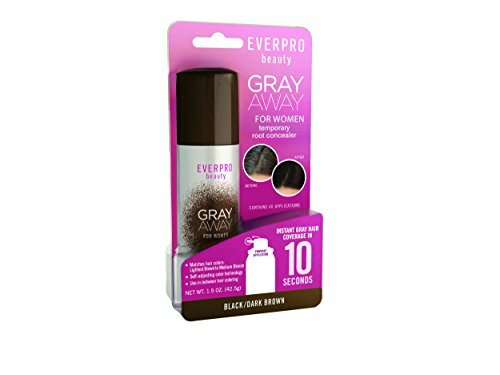 A revolutionary breakthrough in hair care-GRAY AWAY is the fastest and easiest way to temporarily touch-up gray roots. Imagine: no more costly, in-between visits to your hair colorist. In just seconds, you can spray away the gray. Seeing is believing: temporary color has never looked so good. It covers grey roots instantly and camouflages dark re-growth. TIRED OF TRIPS TO THE SALON EVERY COUPLE OF WEEKS?? All that hassle and time wasted just because your roots are showing? CoverAge has you-and your roots-covered! Take the short tipped end of the brush and apply CoverAge to the roots, starting at the scalp, moving outwards, while holding your hair flat against your scalp. Use the brush to push the powder into the roots. Then, turn the brush over and use the long brush to eliminate any extra powder. No more roots! Time to get on with your day looking great! 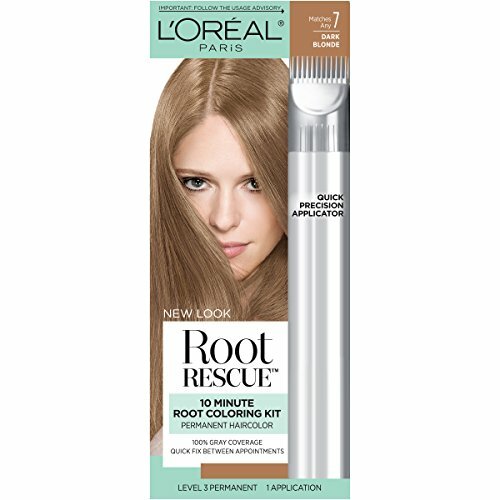 CoverAge is GUARANTEED to cover your roots and make your hair look great. 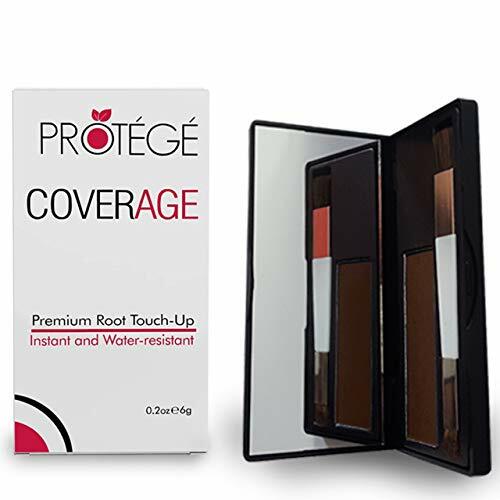 If you are not completely satisfied with CoverAge, contact Protege within 365 days of purchase for a Full Refund. No Questions Asked. Cover your roots with CoverAge, and start making your life easier. Our Supplies Run Out Fast. Add CoverAge to your routine by ordering it RISK FREE now! QUICK AND EASY Use the brush and apply the powder to your roots and dust off any excess. That's it! Nothing to do until you wash your hair. NEAT AND CLEAN The included dual-tip precision brush was specially engineered for applying powder to hair. It allows for accurate application, and doesn't leave any extra powder behind. You will cover your roots and nothing else. No blotches on your scalp. Get the best root concealer available. NATURALLY BEAUTIFUL Reflective, mineral-based ingredients mean a more natural look and shine. This fill-in powder will not dry hair or leave a dull look. Your hair will appear and feel its natural self. SUPER PRACTICAL Less trips to the salon means time AND money saved! CoverAge contains 2x the powder of the leading brand. 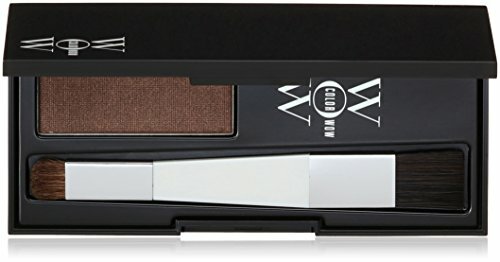 Instant color, and no sticky or oily residue. Extend your time between hair colorings. You can even get your hair wet and still retain your color! COMPLETE GUARANTEE Protege goes far beyond Amazon's 30 day return policy, with a 365 day money back guarantee. If you are dissatisfied, simply contact Protege Beauty for a full refund. No questions asked. NOTHING TO RETURN. You risk nothing when you order CoverAge, so order now! Root Touch-Up by Nice n Easy blends with leading shades, even salon shades in just 10 minutes.The ergonomically engineered brush delivers salon quality application. No roots, no grays, no trip to the salon. 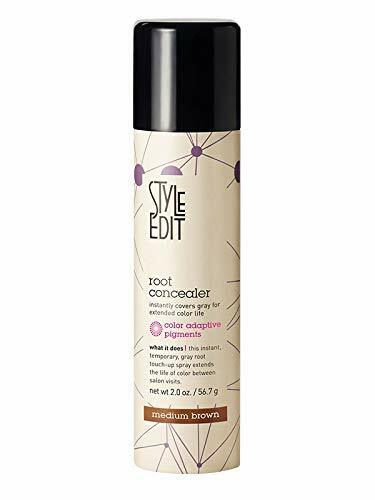 Style Edit Root Concealer for Medium Brown Hair quickly cover grey hair in between color touch ups. This product instantly covers grey hair and extends the life of your hair color and reduces your exposure to hair color chemicals. By extending the life of your color your can save money by going go the salon less often. Grey hair can be noticeable within a week of hair color if you have a high percentage of grey hair. Use this professional grade product daily as soon as grey hair becomes visible until your next color service. This instant retouch covers embarrassing grey for events, pictures and lasts all day long. For best results shake well, hold can 2-3 inches from hair root and apply to dry hair until grey roots are evenly covered. Let dry at least 2-3 minutes. Doesn t flake and shampoos out completely. Style Edit was founded on the belief that gorgeous, healthy hair is a universal goal. Leading stylists were noticing many clients hair concerns were left unsolved. With a lack of effective product fixes, great hair becomes harder to achieve. So Style Edit began it s quest for salon-worthy hair products for everyday use and products at your fingertips for every need. Style Edit matches hair problems with breakthrough solutions. Style Edit brings together the world s leading scientists and stylists to confront hair needs and innovate trailblazing products you can t live without. Your top problems, concerns, and wishes whatever is keeping you from your best hair day they re what keep Style Edit making products. 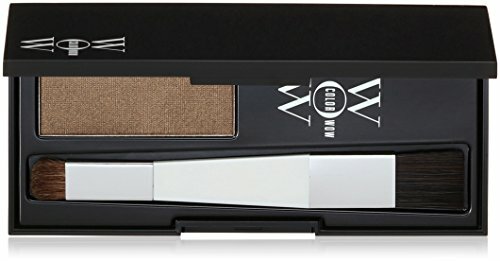 Root Concealer - Instantly Covers Gray For Extended Color Life! Works in seconds.Dries in minutes. Will not run! Washes out with shampoo. WHAT IT DOES - This instant, temporary, gray root touch-up spray covers fading roots, extending the life of color between salon visits. WHAT'S IN IT - Conditioning formula with naturally derived coloradaptive pigments smoothly adheres to the hair fiber and self-adjusts to perfectly match hair color providinq a lustrous, natural shine. WHAT IS NOT IN IT - Mineral oil, petrolatum, parabens, peroxide. NOT tested on animals. Our New Root Cover Up conceals grays in just 3 seconds for flawless roots. Get seamless coverage with a lightweight, no smudging or sticky residue when dry, that's ammonia and peroxide free. Perfect for in between color or salon visits. 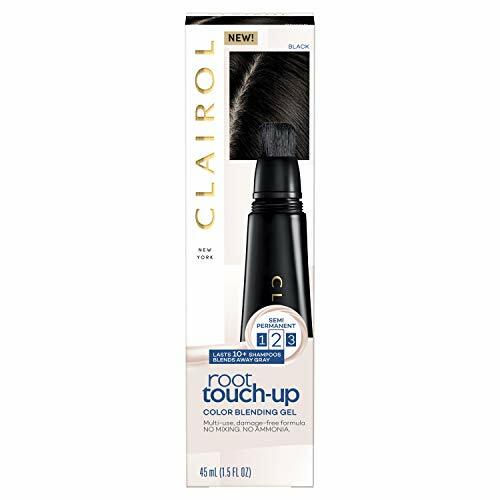 Clairol Root Touch-Up Color Blending Gel, Blends grays for 10 washes. Reusable, Damage-free formula. No mixing and no mess. Just apply, rinse, and dry. Available in 6 shades.